On November 8, 1926, George Hopkins moved his family to the new printing office next to the bank from its previous location near the Gray Inn. The new building had a dining room, living room, kitchen and bath downstairs, three bedrooms upstairs, and the printing office in front. 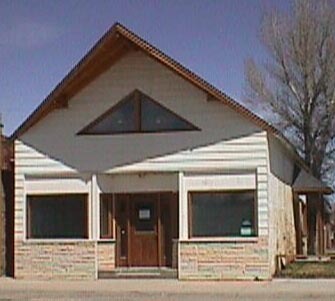 George continued to print the Big Piney Examiner from this building until the end of February, 1968. From 1918 until 1968 there was only one issue not printed.